Receiving a notice from the IRS can be a scary experience, but with the right tax attorney representing you your audit is bound to have a successful outcome. 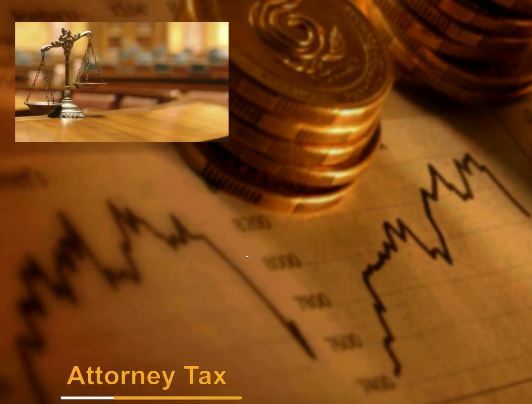 Tax attorneys not only help you with simple tax issues, but they also handle more difficult cases such as tax evasion, tax fraud, audits and court related issues. IRS Audit Group is a team of Tax Attorney CPA’s and Enrolled Agents who specialized Exclusively in Tax Audit Representation with over 15 years of experience. It is important to understand that it is your right as a taxpayer to have a Tax Attorney on your side. If you feel like you can possibly say something that can be self-incriminating, it is imperative that you stop and contact an attorney. Think of an IRS or State audit as you would a court trial. You wouldn’t want to represent yourself in court when you are charged with a misdemeanor or a felony because you will most likely lose. The same perspective applies to the IRS audit. You shouldn’t “fly solo” on an audit because the IRS has no remorse when it comes to collecting your money. One of the duties of a Tax Attorney is to negotiate on your behalf and to ensure that your rights are protected. In doing so, they are saving you the stress, time and anxiety of handling it on your own. They will also make sure the tax audit stays on track and the IRS has all their questions answered that will be to your benefit. Since a Tax Attorney understands the tax laws and knows how to maneuver around the obstacles that the IRS places for taxpayers to overcome, your best chance of successfully getting through an audit penalty free lies in the hands of a tax attorney. The tax attorney will consult with you before effectively giving a response to this agency. When you are put in a high-pressure situation where you might not know all the answers to the questions the IRS asks, you might panic and say something you were not supposed to. On the other hand, a Tax Attorney remains calm and confident at all times ensuring that the answer to the questions will be given and it will be the correct answers. You will have a sense of security knowing that your representation, as well as, your reputation is in good hands. By hiring a tax attorney you won’t have to sacrifice your reputation in the public eye. If you own a business and the IRS is auditing your business, how would it look to your employees if they saw IRS agents in your office? Better yet, what if IRS agents knocked on your door while you have guests over and came into your home to discuss your tax debt in front of everyone? Why go through all that embarrassment when you can hire a Tax Attorney and have the IRS agents meet in a professional setting and handle matters through your liaison. If the IRS is accusing you of tax perjury or tax fraud it is time to pick up the phone and dial a really good Tax Attorney, that is if you are looking to avoid getting penalized or going to prison. It is crucial that you don’t discuss this matter with anyone but your tax attorney because the IRS can get all the information you disclose and use it against you to make their case. Some taxpayers make the mistake of calling the IRS and trying to negotiate or make a payment so they can avoid the hassle and headache of going to court, but that is a major way to incriminate yourself. You are basically admitting to the IRS that you are guilty of infringement. You should also avoid contacting your CPA and discussing matters with him/her since the IRS can call your CPA to testify against you. When it comes to governmental crimes, the attorney-client privileged is revoked and the CPA is under oath and must therefore be honest. Most of those cases are because you are accused of tax evasion, which differs greatly from tax perjury. Tax perjury is when you file your taxes incorrectly or incompletely either unintentionally or purposely, where as tax evasion is intentionally filing your taxes incorrectly to avoid your civic duty as a taxpayer. In both cases you are facing serious consequences including prison time. You shouldn’t have to go to prison, especially if you are charged with tax perjury and you made an honest mistake. A Tax Attorney of IRS Audit Group can help you get out of this mess. You’ve had a busy couple of months during the tax season and it completely slipped your mind to file your taxes. Now you have the IRS knocking on your door accusing you of neglecting to file your taxes. The IRS is merciless and will penalize you for your negligence. Unless you have a tax attorney by your side. You may be rattled and nervous to speak with the agency in an assertive and confident manner, but your Tax Attorney will be that voice for you. They can communicate your reasons to the IRS and you can be given some leniency to file the missing tax returns. You’ve received a CP Notice in the mail and have no idea how to proceed. The letter is just a bunch of jargon to a taxpayer but not to a tax attorney. A tax attorney can give you a detailed explanation of the notice including how much you owe to the government. They can also explain the choices you have if you choose to dispute the charge and go to trial. Remember your Tax Attorney will always keep your best interest in mind, so it is important to consult with one before attempting to handle the situation by yourself. Nevertheless, by hiring a Tax Attorney you are increasing your chances of a successful outcome. Whether you have an audit, are accused of tax perjury or tax evasion, haven’t filed a return or simply to save your reputation, a Tax Attorney is the way to go. You can seek guidance, motivation and strength with the right tax attorney speaking on your behalf, not to mention all the headache, stress and anxiety that you will save. We are a team of Tax Professionals, CPA’s, Enrolled Agents and Tax Attorneys who specialize exclusively in Tax Audit Representation with over 15 years of experience. We are not a law firm.